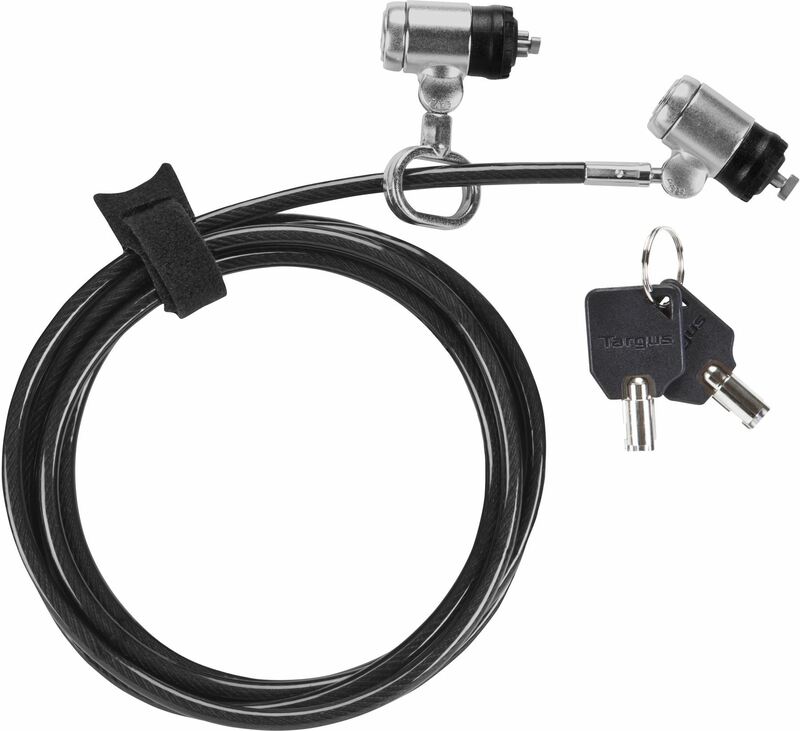 The DEFCON® Dual T-Lock Keyed Cable Lock is a dual locking device featuring a 1.8m steel cable with a pass through loop on one end and two locks on the other end. 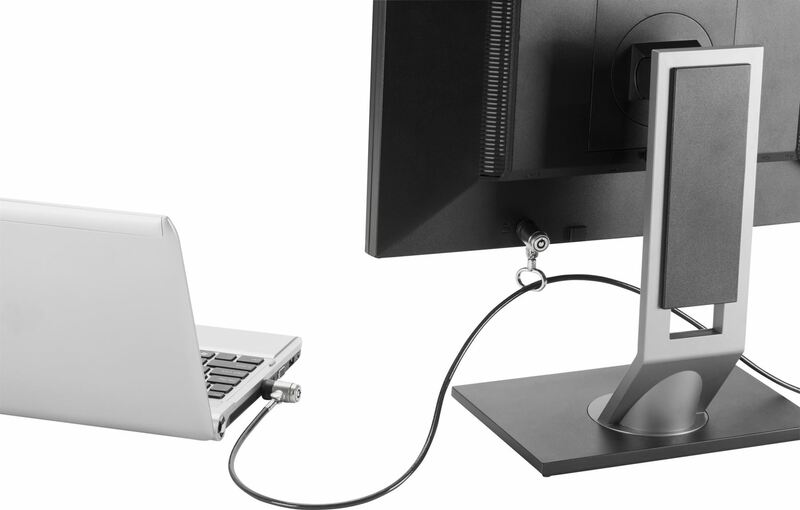 This allows two devices to be secured with a single cable lock. Any attempts to remove it will damage the computer, preventing resale and therefore discouraging theft. The lock utilises the security slot already built into many laptop computers today. 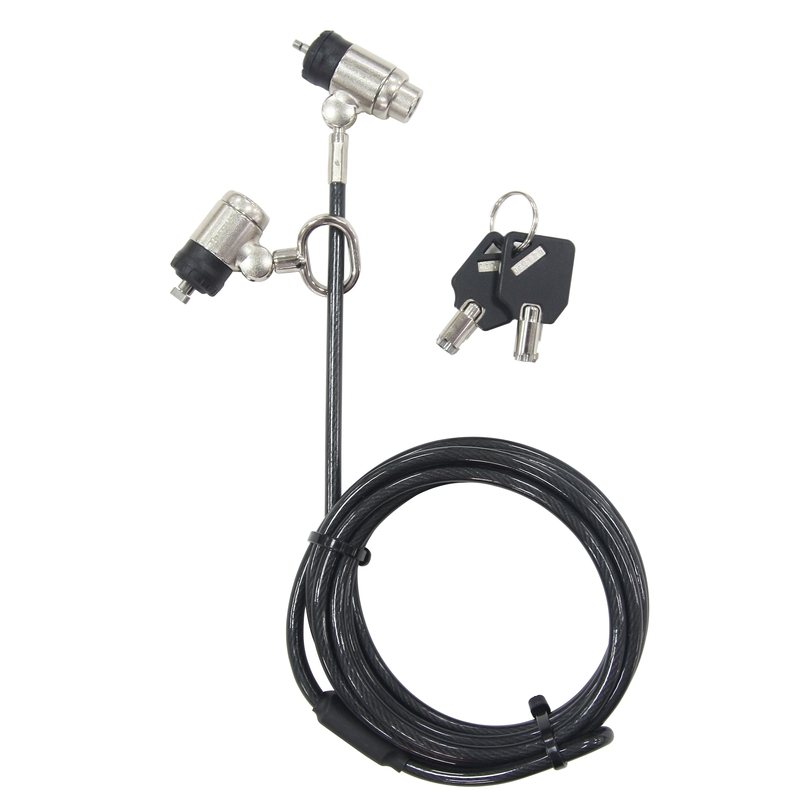 This dual cable lock also ships with two identical keys giving you the peace of mind of a back-up key. This product also comes with a master key solution giving administrator the ability to unlock a pre-determined set of cable locks with a single master key (sold separately and must be ordered together with cable locks). Security mechanism is locked and unlocked using a key.